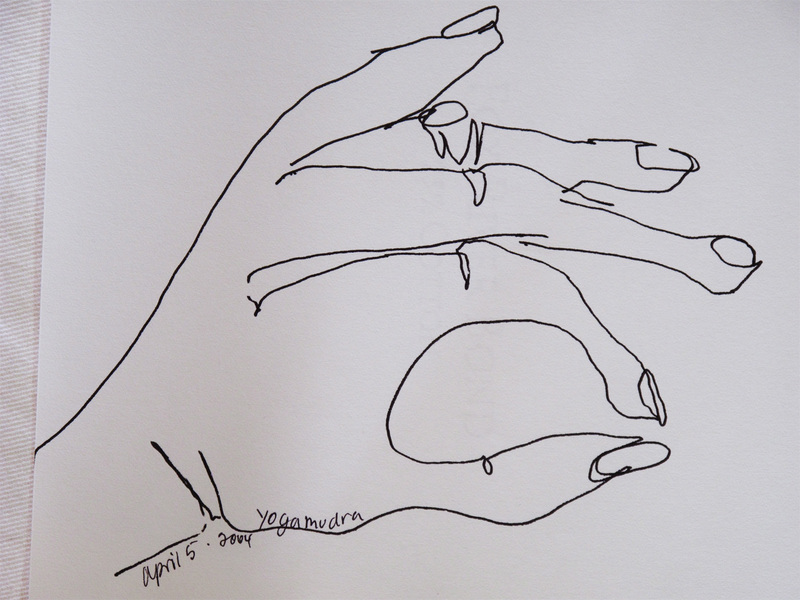 Another non-dominant hand contour drawing of the mudra most frequently used in yoga classes for a seated meditation. 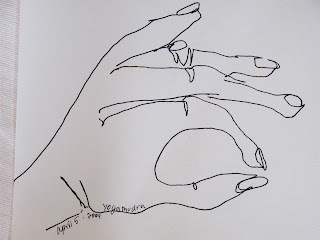 The connection of these two fingers is said to symbolize one's connection with the infinite knowledge and wisdom of the universe. Connect your thumb and index finger while taking a deep breath in and out. Let the silence in your soul trump the noise of your mind. Namaste dear ones. the two fingers most needed to make art with!